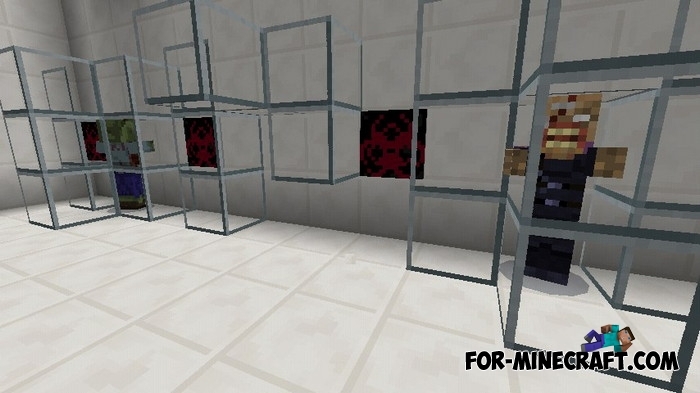 The Resident Evil PE is the first test version of the addon which changes a lot of mobs, blocks, pictures and even sounds. 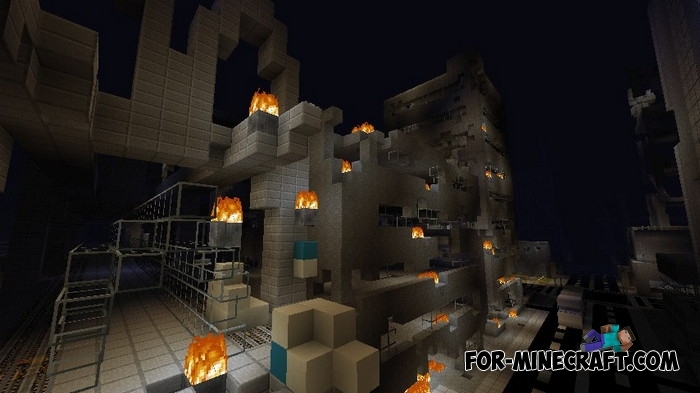 The atmosphere of the zombie apocalypse in Minecraft PE is assured to you. I advise you to download some thematic map where the events unfold during the apocalypse. Let's list the main changes. 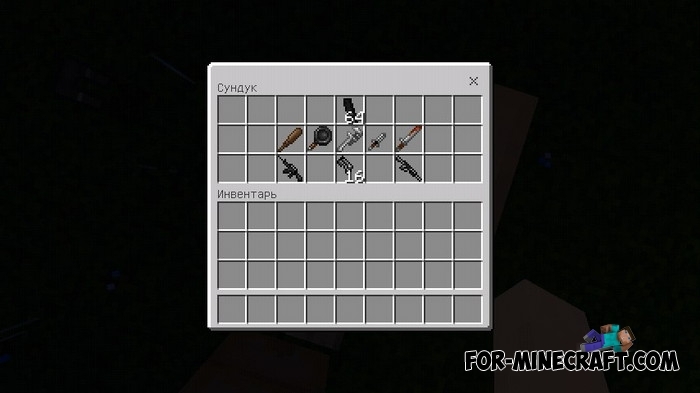 New mobs: Nemesis and Droid. Added weapons: MP5, SG550, grenade. New textures. They perfectly convey the atmosphere of the zombie apocalypse. 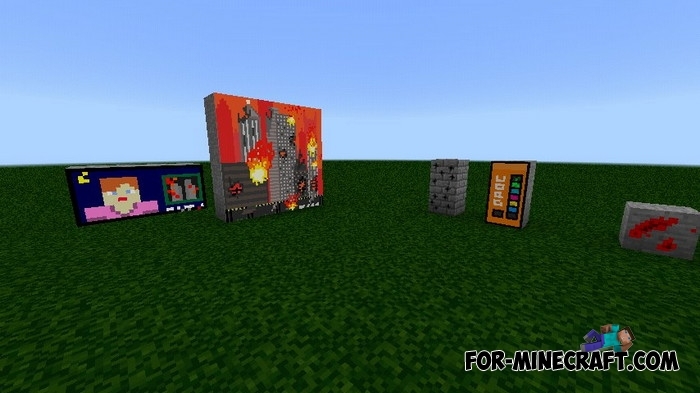 These textures are well compatible with any passing or survival maps. Assault rifle is the most highly accurate weapon with a long range of shooting and good damage. When firing, the weapon makes a characteristic shot sound. Shotgun is the most powerful weapon with 11 damage. Not effective at long distances and in tight spaces. Pistol is an indispensable weapon at short and medium distances. It does not cause much damage but it has a higher rate of fire. 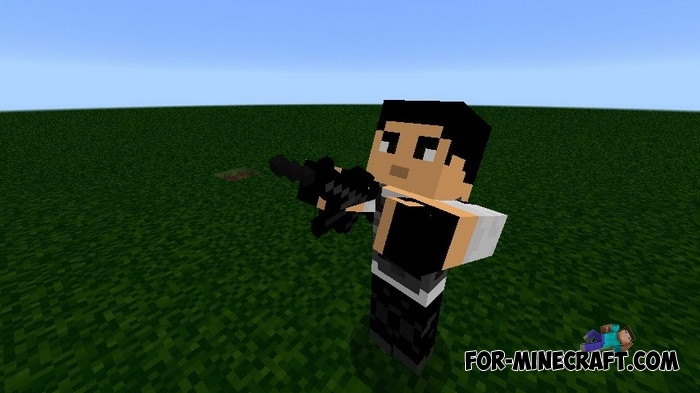 MP5 is a weapon that holds a lot of ammunition and has a high rate of fire. SG550 deals a lot of damage and has a good rate of fire. However, this gun holds 16 bullets only. Grenade leaves a lot of destruction and does good damage to everyone around who was nearby. Commando (stray). Before the onset of the apocalypse, the special forces tried to stop the death of people at any cost. Now their main goal is to protect the survivors and destroy the zombies. They are shooting from a long-range assault rifle. Agent (skeleton). Almost no one knows where these taciturn people in suits, working for Umbrella, come from. You understand only one thing, they act according to a plan that does not want to leave you alive. Therefore, the agent without pity will try to liquidate you and other witnesses by shooting a rifle. Nemesis (husk). He appeared as a result of unknown experiments, this mutant surpasses any animal being in speed and endurance. He can alone destroy an entire squad of fighters, so it's best to avoid it. Fast zombie (zombie pigman). He retained the remains of intelligence, unlike ordinary zombies, which gives him the ability to use a melee weapon. High speed and pale skin are the result of a mutation. Droid is one of the high-tech inventions of the umbrella corporation. Attacks the player and special forces.